Ignored the attraction of the motorway and left Cluny on the D981 north. What a great road, taking in picturesque villages, fields of vines and load of vineyards. Cormatin and Sercy looked particularly nice, so we need to find some places to stop on this route for future visits. 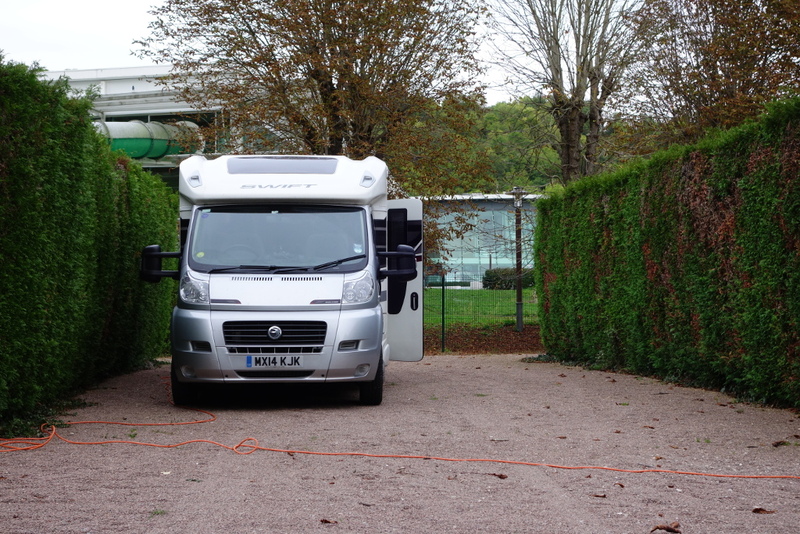 Proper motorhome pitch – why aren’t there more like this? This entry was posted in France - Autumn 2017 on October 5, 2017 by Kenny Mitchell.